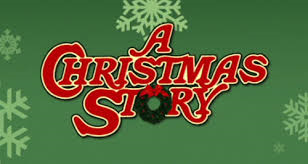 It’s almost that time of year again — almost Christmas Day and 24 straight hours of the movie "A Christmas Story," with little Ralphie Parker calling viewers back to their childhoods, provoking memories of the timeless, indelible and universal experiences of the holiday season. Ralphie, narrating in his adult voice: "Christmas was on its way. … Lovely, beautiful, glorious Christmas, upon which the entire kid year revolved!" That great time of the year has come again, when, as Ralphie puts it, "We [plunge] into the cornucopia, quivering with desire and the ecstasy of unbridled avarice." In addition to glorifying the holiday season, the movie is a gift of life lessons, some of which can even be applied to the practice of law. Mr. Parker, reading the side of the box containing the prize he’s won: " ‘Fra-gi-ley.’ That must be Italian." Mrs. Parker: "I think that says ‘Fragile’." Mr. Parker: "Oh, yeah." Latin terms and legalese, and while some lawyers think they are fancy people who have to use fancy words just because they have a law degree, no normal person would use "heretofore" or "aforementioned" in a spoken sentence. Speaking normally, avoiding legalese and Latin, and knowing the words you are reading or saying to others will help you to connect with a jury and, in your overall practice of law, take you further in successful interactions with others, be they jury, clients, opposing counsel or the court. 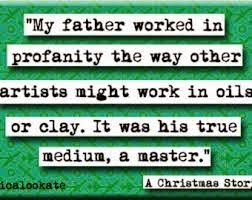 Ralphie, narrating as an adult: "My father worked in profanity the way other artists might work in oils or clay. It was his true medium." Although the thought of using profanity in the law is often enticing, this quote does not advocate the use of such language, other than in unleashing a tirade within your mind against a vexatious opposing counsel or a cantankerous judge who has chastised or embarrassed you, just to get that anger and stress out of your system. This quote is also offered to suggest that it pays to find a niche in a particular practice area and become a master at it. With all the loopholes and trapdoors present in the many different areas of the law, an attorney’s stress level can be reduced by sticking to fewer areas of practice in which to excel. Increasing one’s reputation in fewer areas of the law should lead to more referrals from other attorneys who dare not dabble in your area of expertise. 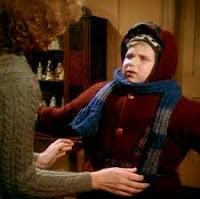 Ralphie, narrating as an adult: "Getting ready to go to school was like getting ready for extended deep-sea diving." It’s a funny scene in the movie when Ralphie’s mom gets Randy, Ralphie’s younger brother, ready to go out in the cold Cleveland weather by using the universal tactic of all mothers: tugging on layers of socks, pants, shirts, coats, hats, gloves and scarves to the point that the poor kid can’t speak clearly or move his muffled arms and legs. Layering can have a positive effect in trial preparation. Layers and layers of preparation should be applied to ensure that you know a file inside and out before you enter the courtroom. In order to make the matter properly fit your theory, each layer of your case, from opening to closing, should be neatly organized, one layer on top of the other in an orderly fashion, so the case will flow at trial. Just be sure to keep your case presentation to the salient points necessary to stay with the jury. Overdoing the layers will only serve to hamper your flexibility and muffle your message. Ralphie: "Scut Farkus! What a rotten name. … There he stood, between us and the alley. 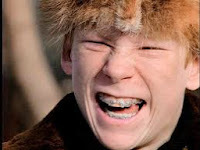 Scut Farkus staring out at us with his yellow eyes. He had yellow eyes! So help me, God, yellow eyes." There’s at least one in every county — a Scut Farkus-like attorney who gets off on bullying his or her way through the litigation process outside the presence of the authority figure of the court. Unfortunately, these bullies usually train their associate attorneys to practice in the same unsavory manner, much in the way toady sidekick Grover Dill serves Scut Farkus in the movie. And so the cycle regrettably continues, as these bully attorneys abuse the rules of civility without fear of repercussions from any ethics board or judge. The Rules of Professional Conduct have no teeth in regulating civility among lawyers, and judges often ignore the consternation caused by bullying and unreasonable attorneys, not wanting to be bothered with the tedium of maintaining decorum among the attorneys inside or outside of their courtrooms. In the end, ignoring the misconduct of these attorneys ultimately reflects poorly on these particular courts. But, as Scut Farkus learns the hard way, sometimes what goes around comes around, and, hopefully, the bully attorneys will get their due one way or the other down the line. As noted below, "A Christmas Story" teaches us that there are at least two ways to deal with a bully. 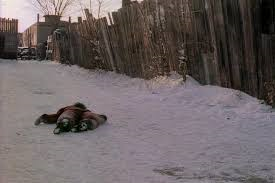 Ralphie, narrating as an adult, describing his brother’s encounter with the bullies: "Randy lay there like a slug. It was his only defense." As Randy lay there, the attention of Scut Farkus was fortunately diverted elsewhere. Similarly, it may pay to lie low for a day or two after first receiving a bullying voicemail, email or letter from an unreasonable and emotionally ugly opposing counsel. Bullying attorneys usually have several needless fights going on at once and it may pay not to engage immediately in response. If a response is necessary, prepare a calm, cool and collected letter to be sent by snail mail, extending the cooling-off period even longer. More often, however, a slug-like response to such bullying is not appropriate, and standing up to the bully to protect a client’s interest is a more appropriate response. 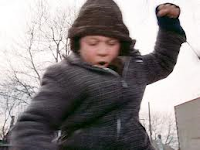 Ralphie, narrating as an adult, describing a different kind of reaction to an encounter with the bullies: "I have since heard of people under extreme duress speaking in strange tongues. I became conscious that a steady torrent of obscenities and swearing of all kinds was pouring out of me as I screamed." Unreasonable opposing attorneys usually seek out and relish verbal skirmishes as a way to compensate for and distract from their sad fears of the inferiority of their own skills, not to mention their likely lack of self-esteem and confidence. Rather than engaging the blustery rhetoric of a totally unreasonable attorney on the phone or in person, it may be more advisable to deal with such bullying barristers at arm’s length in written confirming letters or emails to lock them into place on a particular issue and thereby prevent them from slithering out of commitments or advances made in the litigation. Moreover, if it becomes necessary, such attorneys will usually wilt in the face of the threat of court intervention by way of a motion to compel or otherwise. One can only hope that a judge repeatedly faced with needless issues caused by a bullying attorney will someday put that attorney in his or her rightful place so the unnecessary, uncivil conduct stops. In the end, the key is not to succumb to the jeering dares, taunts or tactics of a bullying attorney by reacting in a way that you may regret later. Flick: "Are you kidding? Stick my tongue to that stupid pole? That’s dumb." Schwartz: "That’s ‘cause you know it’ll stick!" Flick: "You’re full of it." Schwartz: "Oh yeah?" Flick: "Yeah!" Schwartz: "Well I double-dog dare ya!" Ralphie, narrating as an adult: "Now it was serious. A double-dog dare. What else was there but a ‘triple dare you’? And finally, the coup de grace of all dares, the sinister triple-dog dare." Schwartz: "I triple-dog dare ya!" Ralphie, narrating as an adult: "Schwartz created a slight breach of etiquette by skipping the triple dare and going right for the throat!" Just as etiquette is to be followed during the height of a playground challenge, so should etiquette be followed in the heat of a legal battle. For example, rather than skipping over professional courtesies and slapping an opponent with a discovery motion to compel on the 31st day, start with a polite "dare" to opposing counsel that his or her not answering discovery within another 30 days will provoke a motion to compel. When that time runs out, maybe even hit the opponent with a "double-dog dare" thereafter by way of a second letter noting that you will have no choice but to proceed with the motion if the responses are not promptly produced. At later proceedings in the litigation, such as at trial, be up-front and forthright with opposing counsel regarding your plan of action, and hopefully expect the same courtesy in return. For example, let opposing counsel know your planned order of witnesses and what exhibits you intend to use. In the end, when going toe-to-toe with opposing counsel in discovery or at trial, listen to your gut instinct and refrain from succumbing to the pressures of "dares" or tactics that might take your case in the wrong direction. 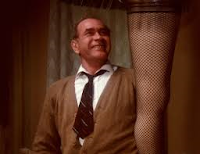 Mr. Parker: "It’s a major award." 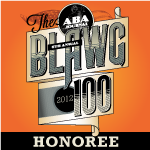 Swede: "A major award? Shucks, I wouldn’t have known that. It looks like a lamp." Mr. Parker: "Is is a lamp, you nincompoop. But it’s a major award. I won it." Swede: "Damn, hell, you say you won it?" Mr. Parker: "Yeah. Mind power, Swede, mind power." The leg-lamp award in "A Christmas Story" is arguably one of the most iconic and recognizable movie props of all time. The lesson here is to remember that perceptions matter in life and in the practice of law. 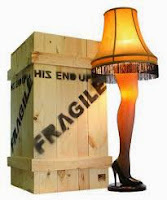 The movie shows that if such a ridiculous object can be viewed as a mere lamp by one person and yet a "major award" by another, there is always the chance that a skillful presentation of a weak legal argument or theory of a case may pass muster and even be accepted by others if you truly believe that what you are arguing for is the proper perception of the matter. Just about everyone other than Ralphie: "You’ll shoot your eye out kid!" 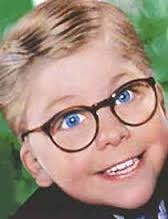 In "A Christmas Story," the one present 9-year-old Ralphie desires most is a Red Ryder BB gun, but he is repeatedly rebuffed in this quest with the above quote from his mother, his teacher and even Santa Claus. In the end, however, Ralphie’s old man comes through with the gift on that glorious Christmas morning. There’s no real lesson here for the legal world, rather only a hope that the holidays bring to all the gift of childlike joy, excitement and enjoyment of this wonderful season of the year. 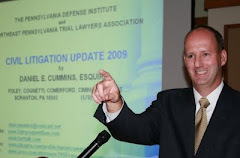 Daniel E. Cummins is a partner in the Scranton law firm of Foley, Comerford & Cummins with more than 15 years of insurance defense experience. He focuses his practice on motor vehicle accident liability, uninsured and underinsured motorist arbitration matters, and premises- and products-liability cases. 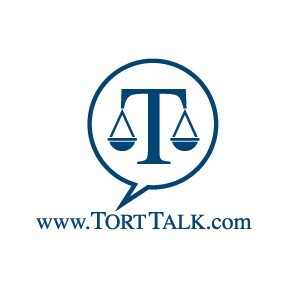 He is also the creator and writer of the Tort Talk Blog at www.TortTalk.com. Source of Images and Quotes: A Christmas Story (1983).